Playing the global warming morality card in my local newspaper – a religious experience? | Watts Up With That? Playing the global warming morality card in my local newspaper – a religious experience? Lately there’s been an ongoing series of rants in my local newspaper, the Chico Enterprise Record, from global warming activists posing as moralists with holier-than-thou views about how noble their world view is, and how terrible that of others who aren’t jumping on the bandwagon is. I’ve stayed out of the argument, because in this case, the levels of the arguments are not generally worth wasting time on, and I often think about the quote attributed to Mark Twain about “never argue with a fool, onlookers might not be able to tell the difference“. Today though, that changed, with a letter so ridiculous, so repulsive, so condescending, and at the same time so hilarious, I thought it worth bringing to attention here. The screencap below made me laugh out loud today, not so much because of the ugly content, but because of the advertisement the ad engine decided to place next to the letter was delicious irony. The citation of the Fugitive Slave Act is a nice touch don’t you think? /sarc As we’ve seen, if some people had their way, similar laws might be enacted for anyone who aids and abets a climate skeptic. I would say that Patrick Newman’s letter to the editor suggests he is one of those “low information voters” we hear so much about. He appears to get his information from “approved” outlets, where he doesn’t get much more than talking points and platitudes for regurgitation elsewhere with a dash of faux moral outrage thrown in for good measure. I wonder what Mr. Newman would say about Climate scientist James Annan’s new position on the issue where he says “the stubborn refusal of the planet to warm as had been predicted over the last decade, all makes a high climate sensitivity increasingly untenable.“. Would Dr. Annan be a “denier” too? Annan has come to realize that global warming has stalled, putting the theory to the test, while new papers being published point to lower climate sensitivity. The break from consensus by Annan is notable and courageous, but also pragmatic. Data trumps theory every day of the week and twice on Sunday, and as even the IPCC seems to suggest with their graph of model projections versus actual data, the future doesn’t look so gloomy and doomy. The Chico Enterprise-Record encourages letters to the print editor. They must be 250 words or fewer and should include an address and home telephone number for verification. Letters may be edited for length, taste, libel, and clarity. The Chico Enterprise-Record reserves the right to edit or reject any letters. I’ll admit that about 1990, right after James Hansen’s famous 1988 address before congress (where they turned off the air conditioning in the room for “dramatic effect”, fearing their science was so weak) that I once saw the issue much as Mr. Newman did, less the angry condescension. Then I looked deeper, leaving my “comfort zone” then, and found the argument wanting. I would love to think that any letters that they recieve they would post, but it has been my experience that they will refuse to post/print it. I have had several civil conversations with my local paper (AZ Daily Sun) editor on particular opinion pieces and the lack of competing viewpoints or factual information, but he never publishes anything that I have to say. The the passage of the Fugitive Slave Act means that the Federal Government supported slavery. It was the northern churches that acted against slavery and the birth of the Republican Party that finally brought an end to slavery with the loss of 600,000 American lives. Sir, You are invited to comment and join a discussion over your views here at WUWT. What the heck is a “utilitarian humanist”? Is that a euphemism for something? As for Science & Religion, I have not encountered a single scientific truth that is inconsistent with my belief in God. Maybe Patrick should exam how “his” policy of biofuels has harmed poor folks in the world. Fix the log in your own eye. Substituting for any reasoned argument, this attitude prevails in nine-of-ten “soft fascist” cases, likely to “harden” as frustrated ideologues confront reality. Asking PN to state a falsifiable hypothesis is like depriving a squirrel of its cache. Beware… even small, furry rodentia may have rabid bites. See here for a good definition of humanism http://stephenlaw.blogspot.com/2009/10/what-is-humanism.html. Utilitarianism is a moral system where all moral judgments are made on the basis of maximizing happiness and minimizing suffering. “The greatest good for the greatest number” is a utilitarian type statement. Combining these two philosophies can produce some truly barbaric behavior. If you believe that doing x will prevent 1 million deaths then killing a few hundred thousand to achieve x is easy to justify for the utilitarian humanist. I guess the fact that the evils of slavery were real and evils of global warming are a projection based on models has been lost on Mr Newman. I wonder what Ute Hum Newman thinks of the huge loss of California’s best farmland to solar developers? The solar fields can’t go in the desert because the desert is reserved for “endangered” animals, so they replace farmland instead. Two of Ute Hum Newman’s favorite idiot causes, directly combining to cause starvation. I suppose this is a utilitarian way to get rid of humanity. Hillary Clinton’s apology to the Chinese for America’s sins of consumption, beseeching them to shun the US path of error, her reassurance that “deniers” were primarily religious fundamentalists who could be appealed to with the biblical “stewardship of the earth duty” , make clear that we are engaged with an essentially religious movement. The decline of traditional religious institutions leaves a void for all those drives and rewards that the new Church of Sustainablility (eternal life, at least for Mother Earth!) provides. A visitor to an Evangelist Al Gore training, who witnesses the altar call where 12 year olds come forward to dedicate their lives to saving the planet, will recognize the drill….even before the collection plate is passed. Beware of atheists proselytizing morality. I am reminded that nearly all politicians and AGW extremists, as (knowingly) wayward as many of them are, still consider themselves “Christians” and attend church regularly (though perhaps only for a “What If” guarantee). Once again religious hypocrisy is unbounded. When religion is used to justify ANY issue, I just logically tune out and am usually disposed to automatically take the opposite side, because if religion is needed to further that cause, logic (and probably empathy and morality) has already sailed. I was under the impression that the “observed” values in the above AR5 graphic were “adjusted” temperatures, rather than DATA. Claiming to be the 21st century moral equivalent of the abolitionists apparently is now all the rage with people who do not wish to debate. This is the second time this week I’ve seen it used. The other being by people who wish to ban guns in civilian hands. In both cases, all it conveys to me is their need for moral preening and their unwillingness to do the hard work required in order to advance fact based arguments. Mr. Newman’s letter demonstrates an astounding lack of logic. He cites the Fugitive Slave Act 1850, as the reaction of Congress and thus the mass of then current American opinion as being in favour of slavery. This is wrong in that it was simply an extension of the Law of Property Acts then on the books, lobbied for by the slave owners. Only poor, brave little Wisconsin failed to ratify the Act. He, then,seeks to draw a parallel with the over riding boredom shown these days to ever more bloated claims from the AGW ‘Consensus’. for brave little Wisconsin, substitute unfunded, but healthy, scepticism. So now what we have is the consensus in the wrong and brave little sceptics in the right. The warmers need to lead by example instead of just whining all the time. They need to cut their energy usage by 50%. 50% less electricity, 50% less vehicle travel, 50% less consumption of goods, even something silly like 50% less use of cement since it is a high GHG producer. And the US GHG emissions are already falling a lot. The warmers need to start supporting fracking because it is clearly leading to lower emissions already and its implementation is just getting started. Instead, they just whine and use even more energy and protest against something which is already showing results. Having a past resident of your fair city (the 80’s), it is my recollection is that the local paper was known as the Enterprise Wretched. Morality is a subjective concept it certainly isn’t absolute. I read in todays Sunday Telegraph, that here in the UK the planned offshore windfarms are going to cost £120 Billion in subsidies alone over the next 20 years! What is moral about forcing the elderly into fuel poverty, where the choice is be hungry or shiver? I then moved on and read Christopher Bookers excellent column where he wrote that someone on the TV stated that mankind contributes 7 times more CO2 to the atmosphere than all the other sources put together. He says the actual figure is 3% ,with the oceans contributing 57% and animals 38%. Now I don’t believe everything I read,, but if he is wrong by a factor of 4 that is still only 12%! Is it moral to deliberately mislead people, or to be blunt; lie to them? In a role reversal to Mr Newman’s posited slavery connection, WUWT is an underground railroad of truth. But I suppose he would term it a Hansenesque “death train”. I have a great uncle who lies beneath a civil war battle field. I am disgusted with this mealy-mouthed writer who dares to make such comparisons between the gravity of civil war and the gravity of a warm summer’s night. However, he has the freedom to make such a ludicrous claim because of such battles. Send Patrick the IPCC projections with subsequent observations. Add a horizontal line from the top of the 1990 error bar to the 2012 observations (they deliberately left error bars off 2012 for this reason, I’m convinced) and add the 2013 observation and let him see, that despite the sequential “correcting” of raw data of the past 20 years ever upwards (and the 1930s-40s ever downwards) by the keepers of the numbers, the last two years are still within the error bar of 1990!! and the real record high for the US (and much of the world) is 1936. Ask him what he makes of this. Also, inform him that the ‘consensus’ scientists – with over 16 years of no statistically significant warming (half the CO2 warming period) are bringing in gradual declines in the climate sensitivity and a view of lesser and lesser serious warming predictions. Falsification in this science is a gradual manipulation, too. ‘Utilitarian’ refers to an ethical tradition (Jeremy Bentham, John Stuart Mill as founders, Peter Singer as a modern exponent) which says that we should act in such ways that we cause ‘the greatest good for the greatest number’; historically, it served as a driver for various reforms, including the abolition of slavery, and in principle is extended to other sentient beings; ‘humanist’ refers to a focus on the importance of humans (often in contrast to religious ideas focussed on a deity). Unfortunately, IMHO, utilitarianism fails because it does not recognise rights, and because the calculation of ‘the greatest good …’ is practically impossible, because of limited knowledge and our own limited processing capacities. Humanism may be OK, but it often excludes concern for other beings (other animals, plants, ecosystems, etc. ); if you start from a mistaken philosophy, the chances are you’ll continue to err. I have not encountered a single weather event that is inconsistent with a warmists belief in cagw. Patrick Newman is evidently one of those gullible people who accept the slanderous claims of Mooney and others that global warming skeptics are driven by economic interests, not by an objective assessment of the science. Assuming he means it when he says that it is “impossible to have too many conversations on the subject,” I would be glad to disabuse him of his misperceptions about skeptics. He reminds me of a good childhood friend of mine who is in the same boat. I would enjoy talking to him about the science that the CO2-phobic “consensus” has been systematically hiding from the public. Email me Patrick, alec-at-rawls-dot-org, and we can arrange a discussion. > have been in the trenches with the abolitionists. So you’re saying you want to be on the right side of morality conflicts? Hindsight is not attained until many years after these conflicts. During the 1850’s most people apparently didn’t protest slavery. There were relatively few aboliitionists (“slavehood deniers”?) at the time, and they were mostly looked upon with suspicon and disdain, i.e., trouble-makers. Certainly a lot of the majority “consensus” were racists. But many also just wanted to be on the right side of the issue and so just went along with the “conensus view”, which they assumed must be correct because it was the consensus. So you want to support the official consensus view on global warming? Because history shows the Consensus View is always right? In looking back at all the great morality conflicts in history, how many have shown that the Consensus View during that conflict was ultimately correct? In the 1950’s a programme existed to eradicate the insect vectors of Malaria. It used DDT. It was so rapidly effective that had it continued Malaria would have been eradicated by the early sixties. However, Rachel Carson wrote “Silent Spring” an attach on DDT, not even on the basis of human harm but merely that killing insects was wrong. This initiated the Environmentalist movement with its first focus on banning DDT. The campaign was so succesful that DDT was regulated to the point of near non-use. Malaria thrived. At least five million people each year have died from it in the last fifty years since the time by which it would have been eradicated but for Environmentalism. This means that, even disregarding indirect deaths due to effects on family and community of direct effects, and disregarding the collossalsuffering resulting directly and indirectly from Malaria among those not killed by it, Environmentalism has in fact been responsible for the deathjs of at least 250 million people. It can therefore be stated as a modestly factual assertion, that Envoronmentalism has already caused death and suffering far in excess of NAZIsm, Stalinism, Maoism and every other totalitarian movement that ever existed. We could probably throw in all the plagues of history as well with numbers to spare. However, Rachel Carson wrote “Silent Spring” an attack on DDT, not even on the basis of human harm but merely that killing insects was wrong. This initiated the Environmentalist movement with its first focus on banning DDT. This means that, even disregarding indirect deaths due to effects on family and community of direct effects, and disregarding the collossal suffering resulting directly and indirectly from Malaria among those not killed by it, Environmentalism has in fact been responsible for the deaths of at least 250 million people. I found it ironic that this remark was preceded by the following Twain quote. Hence I won’t waste any effort disabusing you of your delusion. What is your frame of reference, yesterday? Do you have any context to imagine a 100 year storm or a 200 year storm to design a levee system or other flood control system. These are events mined from data that occur with such frequency. Speaking of which are you aware of the glaciation cycles of the current ice age? Or perhaps you are skeptical of this pattern of recurring periods of glaciation that last for about 100,000 years and interglacial periods (such as the one we are in) that last 15,000 to 20,000 years? Wake up and do some research of paleoclimatology. There is a massive amount of peer reviewed information available should you ever be tempted to undertake an effort to educate yourself to support your opinions with actual information. Reading your clear attitude that appears to be an unlikely event. Enjoy your pub. Hey Patrick, just start living your holy “green” life and show us how it’s done. Go ahead, lead by example, don’t make an impact on your environment. Maybe Patrick Newman is reading this thread. If he is I want to ask him whether he ‘denies’ the global temperature standstill? Even the IPCC appears for now to acknowledge it and so has the Met Office and Dr. James Hansen of NASA (a global warming activists, arrested a couple of times). Now Mr. Newman look, keep the graph in mind and look closely. I don’t deny that global warming has stopped. Neither does the climate scientist Dr. Phil Jones of the Climate Research Unit. You have demonstrated complete and perfect observation of truth. The “pollution” that letter writer mentions is vital food for plants. It was a smart move by the warmists to attach the label “pollution” to CO2. This way, they might also convince the populace to enter the next war; when the goal is to exterminate a few million polluters (humans that breath out pollution), which utilitarian humanist could resist? Warmism is a movement of vile scumbags. Lancifer says: Hence I won’t waste any effort disabusing you of your delusion. I’d call that a personal attack but to humor you, why don’t you name one scientific fact or law, etc that you ~feel~ somehow disproves the existence of God? I might as well warn you in advance that I fully accept the likely truth of evolution and big bang theories and that my belief is bolstered greatly by mathematical realities that describe this limited universe we the living can experience. That started years ago, framing it as a moral issue because AGW evidence was/is lacking. I would love to look in to the life of Patrick Newman, see how much he drives a car and uses electricity and air conditioning and eats food, etc., and show him to be a big hypocrite, just like Al Gore. Anthony, it would be great if Patrick and others with little detailed knowledge come to your site but I suspect they may not know what FAR, SAR, TAR, AR4 and perhaps IPCC even mean. For the benefit of newcomers you might want to define some of the acronyms and leave some links to some of the great posts that can walk someone through a basic understanding of the terms and the science. A while back, Al Gore tried to equate us to “racists”. I didn’t think it had gotten any traction, but apparently someone was listening. Brace yourselves! Morality can only exist when there’s a surplus. Only two means have ever been proven to produce a surplus – capitalism and slavery. Socialism and communism do not produce a surplus so there can be only “moral relativism”, a rationalization by those who have stolen all the food as to why they should eat and others should starve. Reality brings us nearer Truth. Truth, rigorous and demanding, can be beautiful. My Faith seeks and celebrates the Beauty of this created cosmos. Accurate descriptions of reality increase both my wonder and my faith. George W Bush had no need to describe this connection: when he called for faith-based civic involvement, the faith-full knew he spoke of Reality. I guess it was a good thing there were people skeptical of slavery being morally acceptable. Dude, I think Bloke was deriding the unfalsifiable nature of the CAGW supposition. Few things drive my blood pressure through the roof as quickly as self righteous stupidity of this nature. Why is ‘the greatest good for the greatest number’ a path that leads greater numbers to starve, freeze, suffer, and die needlessly based on a theory which is plainly not supported by the weight of the evidence? Why is it that whenever I’m about to hear some new example of vicious and almost comically self contradictory idiocy, it always seems to flagged by the phrase ‘greatest good for the greatest number’ or some similar sentiment. I’m to the point where I have to grit my teeth and force myself to listen to the rest of the statement. I always find it ironic that, although I don’t accept ‘greatest good for the greatest number’ as a basis for my philosophical system, somehow things work out better for greater numbers of those living in nations which embrace my ideals than they do in nations which justify their actions by invoking this magical slogan. The warmists will not admit that there is no “global” warming until everything north of the 49th, and 85% north of the 40th, are under a mile and a half of ice. Oh wait. I forgot global warming causes global cooling. Sorry. As you were. I think you have misunderstood the point that the Bloke was making. “Utilitarian humanist” makes me recall the lessons of Asimov’s “I, Robot” and DF Jones’ “Colossus”. Not to mention the noble cause nutters who toss iron into the sea hoping to absorb CO2, and propose other unknown risk experiments. All precursors to unanticipated and undesirable side effects. In the UK there are tens of thousands of people, like Patrick, who read and believe the Guardian – a newspaper which publishes the same sort of sanctimonious BS. Sadly, these types of people sometimes get into positions of power and cause untold economic damage. They will always be with us and represent the Achilles Heel of western civilisation, consistently trying to save it by unintentionally attempting to destroy it. A utilitarian argument that the greatest good for the greatest number would be served by the slavery of a few such as existed prior to the civl war would not stretch the utilitarian idea of good at all. Patrick is one very confused individual if he thinks utilitarianism gives him a claim to moral understanding. Pat is a perfect mirror of the propaganda spewed out of our MSM. And that wonderful human nature defect, holier than tho. The beauty of the web, is these comments are digitally immortalized, and the end is nigh. The moralizing of Pat and similar gullible folk will live on, as the science continues to contradict the impulse to panic. I bet on cycles because my short life and limited knowledge point to this being natures way. Straight lines and linear functions stand out from the natural background. Evidence for either as driving forces in climate, weather or any natural cycle is limited. As the correlation continues to disintegrate between atmospheric co2 and a warming planet, Pat is going to get very unhappy with the authorities, who he trusted to form that opinion. The absolute certainty of Team Global Warming is to be their doom. For nothing is more evil and vengeful than a disappointed true believer. The word that is missing , Anthony, is sanctimonious. Wrapping an argument in a cause that no one will disagree with, to lend authority to that argument. yeah, right. therefore I dont have to provide any further, facts, analysis or reason. Protect the home of the polar bear it is melting! Morality can only exist when there’s a surplus. This is an incorrect statement that might apply to those with no faith. Since he brought up the 1850 Fugitive Slave Act, it is interesting to note that many northern jurors refused to convict abolishionists who violated the unjust law by applying the long held right, dating back to King John and the Magna Carta, of a jury to judge not only the guilt or innocence of the defendent but also the justness of the law itself. This right/dudy of jurors, called nullification, is something I will not hesitate to apply should I ever be on a jury hearing a criminal case brought against a person for violating one of the unjust green rules or regulations. Frank Kotler says:	A while back, Al Gore tried to equate us to “racists”. Dividing people into groups and setting them against each other is the stock and trade of the commie progressive movement. Race, age, gender, sexual orientation, income, religion, and now … scientific persuasion. We skeptics are therefore by default all a bunch of old, homophobic, racist, rich 1%, white, male, Bible thumpers – whether any of those describe you or not. Most earthworms may be tiny, but a new study suggests their impact on the climate could be mighty. A new meta-analysis, published Sunday in the journal Nature Climate Change, found that the presence of earthworms appears to increase soils’ output of CO2 by 33 percent and of nitrous oxide by 42 percent. What’s a Utilitarian humanist? A bipedal Swiss Army Knife? Absolutely, and a good example is the socialization of GM. The feds stealing from fewer stockholders enabled many more union workers to gain. Thereby increasing available money for political donations to the democrat party. Utilitarian humanism at its best. The home of the polar bear melts every spring and the polar bear is perfectly capable of dealing with this. Hold on there … I was under the impression that ‘global warming deniers’ were numbered in the ‘tens’? A clique of oil funded activists working 24/7 to destroy ‘science’. My, my… how times change in the world of the ‘planet savers’. Patrick, if you’re reading this, please name ONE living organism on this planet that does NOT engage in ‘self serving consumption’ for its own pleasure? And we know why you used the word ‘untold’ – because you cannot provide any empirical evidence that a warmer world, with or without more CO2, would cause any suffering whatsoever. Unfortunately, even in 2013, slavery is still a major industry in many parts of the world. DesertYote says: This is an incorrect statement that might apply to those with no faith. I contend that there is nothing ‘immoral’ in eating enough to stay alive when doing so means someone else will likely die. That’s the law of the wild, there are no ‘immoral’ animals out there in “the garden”. @3×2 Nice catch, I guess at the church of global climaticism we are gruesome. I don’t know who Laurence J Peter is, but Mr Newman might benefit from his insight. A scientific problem is resolved by resort to evidence. An engineering or economic problem is resolved by resort to experience. A political problem is resolved by resort to power. A moral problem can only be resolved by resort to violence. go make “global warming” a moral problem. Apologies for double-post. There was presumably some kind of delay due to the unusual (for me) size of it and the preview didnt appear. So I thought it wasnt on its way and postedf again. Doh! I find the AR5 graphic more than annoying: the use of the light blue surround is an intentional visual trick to bring observation into the considered range of the IPCC. If you stick to the error bars, you see observation to be clearly beyond the bottom of the range. There have always been people in America who take moralist viewpoints about social matters. I’m glad that they have done so, when it comes to matters like slavery — and in fact, Newman’s letter is wrong in its assertion that so many people in the US as a whole just before the Civil War either accepted or enthusiastically supported slavery. If that were the case, the South wouldn’t have felt the need to secede. The problem, obviously, is moralism applied to a subject without understanding of both sides of, and the complexity of, something like “climate change.” Anthony himself was caught up in the Climate Change propaganda for a while, he writes above. It is only Anthony’s strong mind and scientific orientation that turned him around, and then helped many others see the overstatement and propaganda of the hockey stick crowd through WUWT. So you can understand how some kids, much younger than Anthony and without Anthony’s cast of mind, and coming from a political background that emphasized moralism, could take the stance that he did, out of ignorance. The Patricks of this world, if they are to be won over, will be won over by facts and logic, rather than ridicule, it seems to me. On the whole, we have been winning minds, even against the great PR machines that feed the mainstream TV news programs and the major newspapers. To keep doing this, we have to maintain the strictest connections with data and fact, and show others by our rhetoric that we are of a scientific mind and have the better facts at our disposal. I used to think I was a Utilitarian Humanist. Then I read J.S.Mills defence of Utilitarianism and, rather ironically,I realised the idea is complete garbage. Mill is so preoccupied with aattempting to excuse its flaws that he only highlighjts them. The fundamental flaw in Utilitarian rationalisation of pseudo-morality is that it depends on the “other” party sharing it. Treating people as one would be treated only works if they do the same. If someone has the power to abuse others with impunity then there is absolutely no aspect of Utilitarianism or indeed Humanism to stop them. In effect, Utilitarian Humanists engage in a shared delusion of psuedo-morality with each other whilst denying and subverting all actual moral systems such as are rooted in religion, which Humanists oppose. Ultimately, morality is either cultural…in which case it is relative and one persons moral will be a person of another cultures immoral, or else it is God given. In fact, the “values” espoused by these Utilitarian Humanists are in reality only an expression of their particular culture or sub-culture.They are quite incapable of providing any better validation for one of their mores than that its not nice to disagree with it. For example, if I can kill people with impunity, the Utilitarian response is that I shouldn’t because it aint nice to kill people. Its utterly facile. Between realising that Utilitarianism is complete nonsense and finding faith (which I never intended or expected) I essentially took the view that only force and the interest of ones own should govern action. This, call it Gorean selfishness, ultra-nationalism or even Fascism,is ultimately where things lead if we let Utilitarian fools have their way. Their “Humanism” eventually boils down to either fascism or nothing whatsoever. The dissapearing Cheshire cat. Your non sequitor rant is erroneous, illogical and just plain ignorant. Anthony, it would be great if …. For the benefit of newcomers you might want to define some of the acronyms…. On the top in the black band hover over Resources and you will find Glossary It gives the intials and what they mean. The other very useful page is Reference Pages which leads to a whole bunch of subsections. Frank Kotler says: A while back, Al Gore tried to equate us to “racists”. Dividing people into groups and setting them against each other is the stock and trade of the commie progressive movement. Sort of like dividing people into “the commie progressive movement” and the rest of us? I don’t drink that piss, but it’s a drug to some people… I hear.. maybe they should raise the price of piss. Regarding slavery. The liberal cloth-head only conceives one aspect of this and is invariably ignorant of the others. The Ottoman empire depended entirely on slaves and waged military campaigns to obtain them from Eastern Europe. They had public slave auctions up until 1904. These were white skinned Christians as were the roughly 3 million taken as slaves to the North African Ottoman city-state vassals over several centuries by pirates raiding European villages. For example Baltimore in Southern Ireland whose entire population was abducted in one raid. But Irish people were also exported as slaves by the British to the Caribbean. All told there were most likely at least as many non-African slaves over the past half-millenium as African slaves.But we hear exclusively of the latter. Chattel slavery is still practised in regions of the world today, for example Mauretania, but we hear little about this. The liberal is too fixated on the guilt of their long-dead patriarchs to worry about real suffering among those alive today. Everything for the liberal revolves around posturing, gestures, guilt and shoring up by these means their febrile and flimsy sense of identity. I also take offence at the perpetual selective victimhood associated with this issue on a personal level. I am an English prole. Born plantation slaves arguably had better quality of life than did my contemporaneous ancestors. The last two points on the graph are for 2011. 2012 was only slightly warmer. If you want more details, continue reading. The UAH anomaly for December was 0.202. This would rank 6th. The GISS anomaly for December was 0.44. This would rank 15th. The Hadcrut3 anomaly for December was 0.233, This would rank 19th. The sea surface anomaly for December was 0.342. This would rank 8th. The RSS anomaly for December was 0.101. This would rank 16th. The Hadcrut4 anomaly for December was 0.269. This would rank 19th. “The greatest good for the greatest number”. Such and such, say Communism or CAGW, are declared ‘Good’. I, the Great Leader, am attempting to bring about Communism or to ‘Save The Planet’. Since I am trying to do ‘The Good’, if you appose me, you are therefor ‘Evil’. So I round some of you up and kill you, for The Greater Good, of course. So now people see that they need to get me before I get them, so greater numbers appose me. So I have to round them up in ever increasing numbers, get them before they get me. I end up killing most of them, ‘for The Greater Good’. ‘The Greater Good’ ends up being defined as, well, me. Only I am good, for I possess power. And, of course, when I kill you, I and my followers get to keep your stuff. After all, I deserve it, I am the champion of ‘The Greater Good’. This is the standard path that dictatorships always follow. The dictator does not need to actually believe in the good, merely use it. This becomes much more ruthless, however, if they do. Regarding “Lancifer” (a moniker that invites trouble) it is exemplary of the shallowness of conception of metaphysics to confuse belief in “God” with Sunday school creation myths and some geezer with a white beard and robes. Those of us who are trained scientists yet subscribe to metaphysical contentions tend to have evolved out of that soup of stereotypes a few decades earlier…as yet may “Lancifer”. of course your submission to every thug or mystic is argued as a moral issue. for have you not unanimously denied that morality is in any way objective? how can you make a valid evaluation of anything if you disavow objective values? what, then, can you rely on as the basis of any argument for self ownership, rights, ethics? did anyone ever think global warming was merely a scientific curiosity? There is a philosophy being pushed all over the world by various UN entities through education, K-12 and higher ed, called religious humanism. It’s not religion as traditionally viewed but a recognition of each person’s supposed moral obligation to intervene in the affairs of daily living to make the world a better place. It also pushes the idea that there is no such thing as an individual. That everyone is interrelated and part of a broader system of relationships and experiences. It’s being sold as what it means to be a Global Citizen. I explained it here a few months ago and how dangerous this is. http://www.invisibleserfscollar.com/producing-docile-instruments-and-captive-souls-putty-at-the-hands-of-the-predator-state/ and how all the education reforms going on globally are accentuating this emphasis on systems thinking. When you have taught people they are not independent and that everything they do affects others, there flip side, hence the odd illusion to slavery, is that skeptics have no right not to recognize their interdependence to others and start to behave accordingly. Systems thinking is metaphorical and usually pushed by statist schemers wanting to aggregate power. But many people are taking it literally and believe the actions of everyone must be controlled to protect the Earth System. Irrational does not mean systems thinking is not becoming hugely influential. And it is a religion in terms of a system of values it wishes to impose. At a deep, emotional level. Agreed. The right to a jury trial is perhaps one of the most unappreciated defender of liberty, standing right along side the right to keep and bear arms, free speech, free press, and assembly as a powerful protection against tyranny. Here’s an example that is either going on at a college or university or as part of teacher professional development. Whatever it is it is chilling. The internet search got directed to me because I have written about Bronfenbrenner Ecological Systems Thinking. Urie by the way was a psychologist. That search was less than a week ago. The charlatans are being very active and false belief systems still drive behavior in predictable ways. Especially when the beliefs are emotional and not based on reason. …Sadly, these types of people sometimes get into positions of power and cause untold economic damage. They will always be with us and represent the Achilles Heel of western civilisation, consistently trying to save it by unintentionally attempting to destroy it. I used to believe it was unintentional until I did a lot of reading. Now I am pretty well convinced it is INTENTIONAL. The Fabian Shield and the Fabian Stain Glass Window now hung with ceremony by Tony Blair in the London School of Economics makes it pretty darn obvious that the destruction of western civilization was planned so that a ‘new way’ could be implemented. …The window – is set within an oak frame, giving an overall size of 81 x 76cm. Cited as an example of ‘Shavian wit’, the figures are in Tudor dress to poke fun at Pease who evidently loved everything medieval. 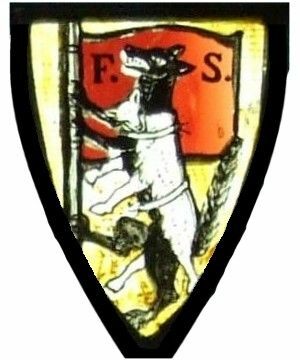 The Fabian Society coat of arms is shown as a wolf in sheep’s clothing. The first man, crouching on the left, is HG Wells, cocking a snook at the others…. I first realized that there was a plan to the madness and the fast disintegration of the USA after reading History HACCP and the Food Safety Con Job a very well researched article on the intentional elimination of family farms in the USA by the Committee on Economic Development and the US Government. Here’s another internet search quote that illustrates the mentality being created now via education. This one made it to me because I have written about Mihalyi Csiksentmihalyi and his determination to create experiences in education that combine what is wished for, felt, and thought into what is sought in the classroom. This is what our young people are being taught all over the world and people who believe this are our K-12 teachers now or their bosses. I have been writing about a professional development guru whose work says it is based on Csik’s flow. Parents think they are funding a better way to teach science. Instead the teachers discover Teaching for Excellence is seeking almost cult-like behavior from them so they can create emotionally compelling experiences for their students. These kids and young people are being primed to believe that anyone acting autonomously is a threat to their futures. Eveyone has a mother ! 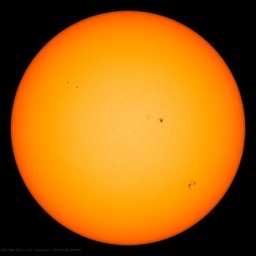 The extreme AGW paradigm pushers have opened the door for the scams and it appears for fanatics to fuel the madness. The so called skeptic’s position is supported by facts and logic. 1) There is no dangerous warming due to CO2 increases. 3) Spending money on green scams is detrimental for middle class Americans (higher energy costs will increase unemployment and reduce incomes), poor Americans (poor American need jobs and if jobs cannot be created they need subsides, and need someone to afford to subsidize the unemployed and under payed), Western countries (they have middle class citizens and poor also), China, India, third world countries, and so on. – Planet’s feedback response to a change in forcing is negative (resists) rather than positive (amplifies). If the planet’s feedback response is negative the IPCC own calculation indicate the warming do to a doubling of atmospheric CO2 will be less than 2C with most of the warming occurring at high latitudes which result in an expansion of the biosphere. – There predicted tropical troposphere warming has not occurred. – There has been no observed warming for 16 years. – Plants thrive -including cereal crops- increased yield and reduced growing times, when CO2 levels are raised. The biosphere is more productive when CO2 levels are higher. The EU bureaucrats have mandated that 20% of the EU transportation fuel most be from biofuels. The problem is there is limited land to grow food, so virgin forests must be cut down or land in third world countries that was used to feed local people must be taken out of production to produce food to convert to biofuel. As virgin forests are being cut down CO2 increases, rather than decreases even when scam promoter accounting is used. In the case of the US conversion of corn to ethanol the CO2 input to grow, harvest, and triple distill the ethonal is greater that using conventional gasoline. The scam increases the cost of gasoline for the consumer, does not reduce CO2 emission, and increases the cost of food for all Americans and for third world countries. The scam is lose, lose. From its first appearance in 1978 to this past December 31st, the policy provided over $20 billion in subsidies to American ethanol producers, costing the U.S. taxpayer almost $6 billion in 2011 alone. Enacted in the spirit of “energy independence,” ethanol subsidies became a redoubt for the agricultural lobby and a lighting rod for criticism from environmentalists and sustainability advocates.. …To add to the environmental cost of U.S. corn ethanol is the potential of its expanded production to raise global food prices, potentially increasing the likelihood of social unrest and instability worldwide. Some 40 percent of the American corn crop is now distilled into fuel, and The Economist has estimated that if that amount of corn were used as food instead, global food supplies of corn would grow by 14 percent. Both the U.S. Government Accountability Office and the U.N. Food and Agriculture Organization have noted the positive link between U.S. corn ethanol production and rising corn prices. Because of America’s position as the leading corn producer and the status of Chicago-traded corn prices as a benchmark for global ones, the U.S. can have an outsize impact on worldwide food prices. Indeed, corn prices have more than tripled in the last ten years, in no small part due to the ethanol boom. The U.S. quintupled its production of ethanol–ethyl alcohol, a fuel distilled from plant matter–in the past decade, and Washington has just mandated another fivefold increase in renewable fuels over the next decade. Europe has similarly aggressive biofuel mandates and subsidies, and Brazil’s filling stations no longer even offer plain gasoline. Worldwide investment in biofuels rose from $5 billion in 1995 to $38 billion in 2005 and is expected to top $100 billion by 2010, thanks to investors like Richard Branson and George Soros, GE and BP, Ford and Shell, Cargill and the Carlyle Group. The Patricks of this world, if they are to be won over, will be won over by facts and logic, rather than ridicule, it seems to me. His type are not interested in facts and logic. He has a Belief system based primarily on emotion. There is no “winning over” with someone like that. Ridicule is much-deserved, though I suppose those more inclined towards compassion might pity him in his delusion. Hmmm… I think I can see where that one is going. I’m surprised nobody has yet blamed global warming on GM food. Slavery was, and still is, a societal and moral issue, The main debate about AGW is about climate sensitivity. So far, at least, it seems the sceptics were right. We will have to wait and see but I see no parallels with slavery. Or denial of the concentration camps. I know they existed along with slavery being one of the biggest evils ever perpetrated on mankind. Warmists’ policies come in third place. So what are you saying, then? That they attempt to cover up a botch job with a botch job? And if so, the temps were adjusted upwards and the STILL couldn’t achieve their aim! Nice going, Ed! These ideas, like ‘humanism’ and ‘utilitarianism’, do not exist floating in ideological space without context. Because someone conflates and confuses them does not give them any but his capricious and possibly fallacious meaning. I’d say read the Wikipedia https://en.wikipedia.org/wiki/Humanism with a skeptical eye, there are 20+ varieties of humanism, none labelled utilitarian. The Wikipedia article ‘Utilitarianism’ does not contain the word “humanism”. Believe nothing that one reads or hears without verifying it oneself unless it is congruent with ones Weltanschauung. Been a while since I read JS Mill, and you have to take into account that in his time pretty much all issues were framed in moral terms. A modern utilitarian would argue utilitarianism is an amoral philosophy, where all decisions are taken on pragmatic grounds, using the greatest good principle. Humanism is a set of vague and wishy-washy principles. Best described, as a religion with god (or gods) removed. IMO, anyone who describes themselves as a humanist, isn’t a deep thinker, and needs a set of rules to follow, because they aren’t capable of working out the answers themselves. Thus, utilitarianism and humanism are polar opposites and one can not be both. “Dave Leeaton” is taking you up on posting there in the comments, doing his best cut and paste advocacy of CAGW. If there’s any parallel here it’s that of skeptics of CAGW are the abolitionists of today. 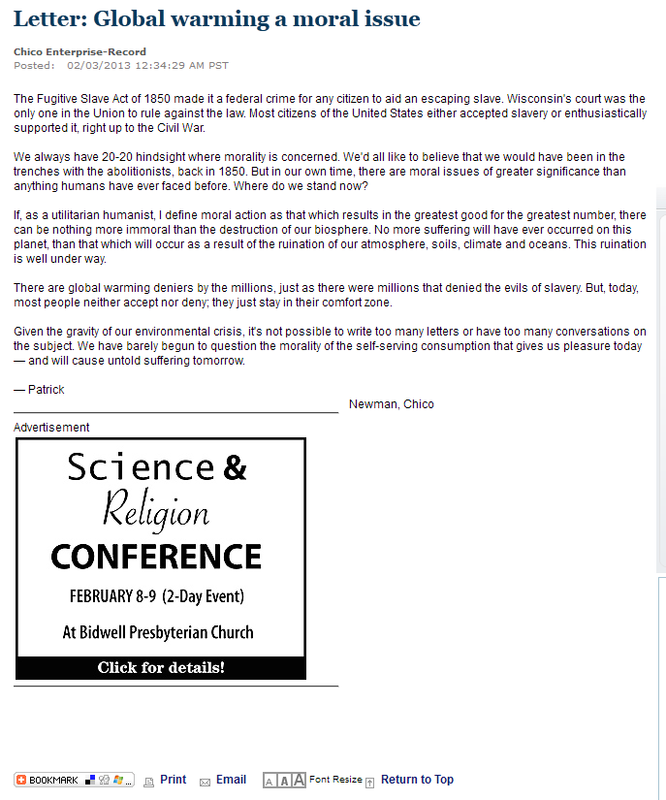 Why do individuals like Patrick assume that a warmer planet is bad to the biosphere and, therefore, immoral? Plant growth peaks around 1,100 to 1,200 ppm. We are currently around 400 ppm. It is immoral to starve the plant life of plant food (CO2) when we have to knowledge and technology to drill horizontally for “unconventional” oil and gas. Mr. Newman sounds like many Warmists I have heared from before. They are so sure, so certain that the climate scientists are right (not that they themselves are right) that they begin to lecture us cruel denialists while appealing to authority. One thing that I have found is that if you hit them hard with 5 or more cold hard pieces of peer reviewed evidence they normally remiain silent. Some of the regular folks here at WUWT have children. I do. Some of us have grandchildren. Many of us, like yourself, believed in Catastrophic Anthropogenic (Runaway) Global Warming. Some of us believed that were were headed for dangerous warming. All I want Mr. Newman to do is not believe a word I say but spend just 1 week looking at: what is the biggest greenhouse gas? Look at climate sensitivity, IPCC temperature projections V the past 15 years of observations, the missing hotspot, Roman Warm Period etc. Start by looking at both below and continue looking at both sides. As a negative utilitarian I find it extremely offensive tohave my world view dictated to me by utilitarians. Why shoudl we have to listen to any one point of view only? I have read scare stories about malaria and global warming. I remain sceptical because of the observed evidence of decreasing malaria. I read the claim, then I looked for observations and the observations went in the opposite direction (global warming since the end of LIA). Three days ago I went to the pharmacy with my daughter to purchase some anti-malarial medication (she got malaria positive plus). I treat my kids, all told, about 6 times a year for the killer disease malaria. My point is that we too have children and care for them deeply, but it does not mean we are going to be led like sheep into indoctrination. I have never received fossil fuel money, I am not politically active, I am not right wing, I am just sceptical of scaremongering and headlines. But such has nothing to do with the quote. He was Canadian with an education degree from WSU. GM went bankrupt and would have done so no matter what the government did. That means the stockholders were inevitably going to lose their investment. PaulH asks- What the heck is a “utilitarian humanist”? Is that a euphemism for something? It won’t do you any good in denial and trying to hide Pat as those Big Oil slavers and their lookouts are everywhere like CO2. Nobody holds a gun to his head and says “Consume.”. Newman just wants to impose his will on others. Big ego, small man. I was about to proffer that well known home spun remedy to calm the voices, namely a sharp blow to forehead with a large block of dry ice and subsequent cold compress application, but in this difficult case perhaps not. Trying to compare slavery with people who don’t go along with the eco-freaks, is a sign of profound doubt in the face of conflicting information and science. The real villains are the ones trying to impose an Agenda 21 tyranny on a free people. Never give up your guns. Poor Patrick, he sounds so serious but all the world is now laughing at him! Doug – As you probably can guess I feel so bad about what you are doing to spread doubt about the greatest challenge the world faces today –climate change. The suffering that is already taking place in the US as well as in the poor countries because of our failure to confront this issue hurts me deeply. Obama. as you know is going to try to take forceful action on the issue (thank God) and the deniers and skeptics are going to try to weaken this effort. That really pains me. I know you are a decent person and you think you are right but think for a moment that you may be wrong. If you are and most relevant scientists of the world think you are, what damage might you be doing? I know this will make you furious but I had to say it. If you haven’t seen this one, enjoy: How to make the point that climate change deniers should be treated with care.. Your friend sounds like an insufferable, holier-than-thou scientific know-nothing. I know the type. There are no verifiable examples of global harm or damage due to the rise in harmless, beneficial CO2. The biosphere needs more CO2, not less. More CO2 is better, unequivocally. Maybe you could show your friend this chart. 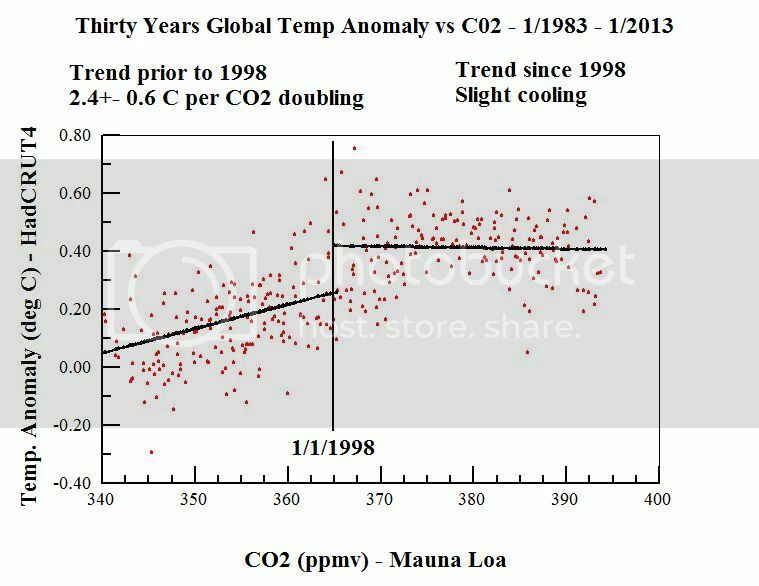 It shows beyond any doubt that global warming has stopped for the past sixteen years, and that CO2 has zero effect on temperature. I wouldn’t get my hopes up, though. Some folks’ minds are made up, and closed air tight. There are no scientific facts you could show them that would make the scales fall from their eyes. They are True Believers, and their belief is emotion-based. But good luck anyway. Friend – As you probably can guess I feel so bad about what you are doing to condemn millions to suffering now in a vain attempt to reduce possible suffering in the future –climate change mitigation efforts. The suffering that is already taking place in the US as well as in the poor countries because of our failure to put their needs above some supposed future generations inconvenience hurts me deeply. Obama as you know is going to try to take forceful action on the issue and the advocates of such action that completely ignore evidentiary based science are going to try to get this effort instigated with or without authority. That really pains me. I know you are a decent person and you think you are right but think for a moment that you may be wrong. If you are and most relevant scientists (those whose reputations do not depend on acceptance of CAGW) of the world think you are, what damage might you be doing? I know this will make you furious but I had to say it. Your description brought me back instantly to Ursula K. LeGuin’s short story, “The Ones Who Walk Away From Omelas”. It was a damning illustration of the inherent moral bankruptcy of the concept. Yes, but the bondholders wouldn’t have, in the normal course of things. Some day, if it hasn’t happened already, someone will write a fascinating book about how the Obama administration basically ignored the law and disenfranchised the secured debt holders. “…millions denied the evils of slavery.” Point being? Millions deny fairies at the bottom of the garden. @Gail Combs, I clicked on your Fisher links for the Lenin quote you gave at February 3, 2013 at 1:54 pm. Didn’t find it. Am I to assume that it’s in the book I would need to purchase there? Thank you for any clarification. My word this thread has become home to every religious fruitloop out there. Newman is not wrong because he is a Humanist (possibly correctly described above as simply another religion, but missing the great sky fairy), he is wrong because what the poor need is cheap abundant food, cheap abundant energy and the rule of law. None of which are ever going to be achieved in an environmentalist utopia. As for morality, that definitely does not derive from religion (and let’s face it the behaviour of religious leaders is all the proof you’ll ever need of that truth), it derives from having an effective police force, this latter truth being a throw away but important revelation from H L Mencken. Untold? Untold? Is he kidding? I wish it was untold! But these water melons make sure that we are told about this supposed future suffering every day of the week. And in a vastly exagerated way too. It is a classic method for advancing any agenda. Get a “Let’s you and he fight” going and the third party that instigated it can do as they wish while the other two parties are focused on each other. I have noticed with the petty thieves I have known, the first thing they do when you notice your stuff is missing is point a finger at a third person to displace blame. Same concept. Serfdom is just a different form of slavery. The Arab states still practice slavery but due to world pressure passed a “law” Abolishing Slavery. (Yeah right) We all know how those type of “laws” work. All you have to do is look at how the USA is refusing to bring charges against <a despite Heartland's attempt to lay charges. Peter Gleick is still walking because the prosecutor's office refuses to press charges for his impersonation, fraud, and defamation. See 18 U.S.C. 1343 for the law violated. Heck the Justice Department moved Friday [Jun 29, 2012] to shield Attorney General Eric Holder from prosecution after the House voted to hold him in contempt of Congress So the Admin. has swept ” Fast and Furious” under the rug. If we do not have the rule of law in the USA and obviously we do not, then do you expect there to be rule of law in Arab states? The Dark World of the Arab Child Slave Trade These are the neighbors and possibly the very same people Al Gore just sold his Current TV to! Bertram Felden…whilst Ad Hominem (“fruitloops”) may be the indication of a lack of argument when directed at your opponents it is doubly dumb when directed at people who on the key topic at discussion are in agreement with you. Divide and conquer is what our opponents try on us, it is utterly idiotic of you to buy their division and use it on your own camp. Besides which, you again indicate the shallowness and infantile level of your conception of metaphysics (belief in a Sunday School level creator conception of God indicated by your “sky dragon”). To stereotype all who have metaphysical faith as like those who think in such terms is no better than an environmentalist calling you a “denier” and presupposing you are a gun-luvvin bubba with a fifty gallon beer-gut. Well said Betapug, this is my feeling also. CAGW is fulfilling a religious need for people and the rise of this new religious movement coincides with the decline in more established religious congregations. That the US government is AGAINST having people informed of their rights and duties as Jurors speaks volumes. Gail, the right not to convict someone is key to the jury system … but not the establishment wants anyone to know about. E.g. Did you know that the American War of Independence started after American Jurors refused to convict Americans under British law? I think it was the “gillespie” case (but I’ve got the name wrong). Did you know the Scottish verdict “Not proven” does not mean “you did it but we will let you off”. Instead “not proven” and “proven” are the two official Scottish verdicts. The third is “not Guilty” … which really means … “irrespective of whether the crown has proved the case we order the court to let you to go free.”. These are just two instances where the establishment have tried to hide the real history, role, duties & power of the jury. Patrick called himself a Utilitarian Humanist. That’s a religion. Isn’t it? …… My friend’s angry that I’m giving a talk at our UU church later this month. Because he’s a friend, his email upsets me…..
Fuel poverty deaths three times higher than government estimates: Some 7,800 people die during winter because they can’t afford to heat their homes properly, says fuel poverty expert Professor Christine Liddell of the University of Ulster. The World Bank released a very inflammatory document: The World Bank 4 degree report in full here and summary for policymakers here. All the while the World Bank is lecturing the West on the evils of CO2 it has MASSIVELY increased its lending for Coal Plants! 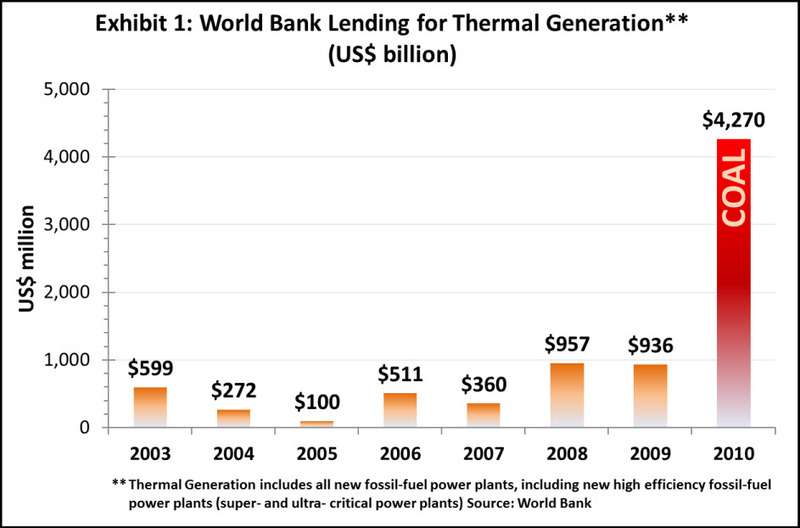 GRAPH of World Bank spending on coal fired plants in the third world. The goal of Carbon Trading was to set up a worldwide trade in Carbon Credits (CCs), designed around a standard market mechanism, so that greenhouse gas producers could be penalised while greenhouse gas consumers could be rewarded. The easiest way to ‘consume’ CO2 is with trees so now The World Bank is deporting farmers form their farmland. If there is anyone who knows wind power it is the Dutch. This is what they have to say in a peer-reviewed paper: Electricity in The Netherlands: Wind turbines increase fossil fuel consumption & CO2 emission. ….making one’s fortune from policy favors from buddies in government, the cultivation of whom was a key business strategy — cobbled their business plan around “global warming.” Enron bought, on the cheap of course, the world’s largest windmill company (now GE Wind) and the world’s second-largest Solar panel interest (now BP) to join Enron’s natural gas pipeline network, which was the second largest in the world. The former two can only make money under a system of massive mandates and subsidies (and taxes to pay for them); the latter would prosper spectacularly if the war on coal succeeded. List: 36 Of Obama’s Taxpayer-Funded Green Energy Failures Money went into ‘investors’ pockets but corporate bankruptcy laws means taxpayers do not get it back out again. Investors in the know will sellout after the stock value peaks and before the bankruptcy. To keep the grid stable (Wind and solar DESTABILIZE THE GRID) electric companies will use ‘smart meters’ to shut down residential and small business electricity with ‘rolling blackouts’ so Factories can have a constant supply of power. On April 17, 2006, ERCOT was forced to use 1,000 MW of involuntary demand response and 1,200 MW of voluntary demand response to successfully prevent a system-wide blackout. Unusually high and unexpected load due to unanticipated hot weather, coupled with 14,500 MW of generation that was unavailable due to planned spring maintenance, resulted in insufficient capacity to meet load. System frequency dropped to 59.73 Hz at one point. Rolling blackouts were required for about two hours, with individual customers curtailed between 10 and 45 minutes at a time. All of the load called upon to respond did so successfully (voluntary and involuntary), though there was a 15 minute delay with one block of involuntary load curtailment. Demand Response is the code words for Smart Grid. What they neglect to say is the way this is Demand Response works is with Smart Meters This allows residential electricity to be turned off so the system can be balanced. The Department of Energy is all on board too. H. L. Mencken had it right. “The urge to save humanity is almost always a false front for the urge to rule.” or in this case make lots and lots of money off the backs of the poor. The comment “the greatest good for the greatest number” just means these people are really Trekkies!! Bondholders stand in line with the other creditors. In this case they became owners of approx. 10% of the company. They thought they should have 58% of the company. From their perspective they did poorly. From another perspective they did better than they might have. The nature of bankruptcy is that someone is going to be shafted. That’s what happened to the bondholders for sure but it doesn’t look to me like anyone broke any laws. Just been reading some British history recently, it is striking how in the 1600s and 1700s the tension between the “national” Anglican Church and the “nonconformist” churches was center-stage to the politics of the time. One author commented that the Anglicans used a sense of the “church at risk” to generate political support, and how nonconformists were pilloried as degenerate and a threat to the nation. This has interesting echoes with contemporary “consensus” environmental science (CAGW) and nonconformist “denialism”. The prevalent religions have moved on but human nature has not. @Gail Combs, I clicked on your Fisher links…. Doug, since this is a friend, why not gently point out that whenever anybody takes a stand on any issue, there’s always a chance that they’re going to be wrong. This isn’t an excuse to close your eyes and sit on the sidelines. Your friend is taking a stand as well. I’d try pointing out that driving up energy costs HURTS people in real ways, pointing out that the predictions aren’t being borne out by reality, and toss in the scandals (climategate, Annan’s recent mention of corruption, Lisa Jackson / Richard Windsor shenanigan, etc.) to demonstrate the possible corruption. 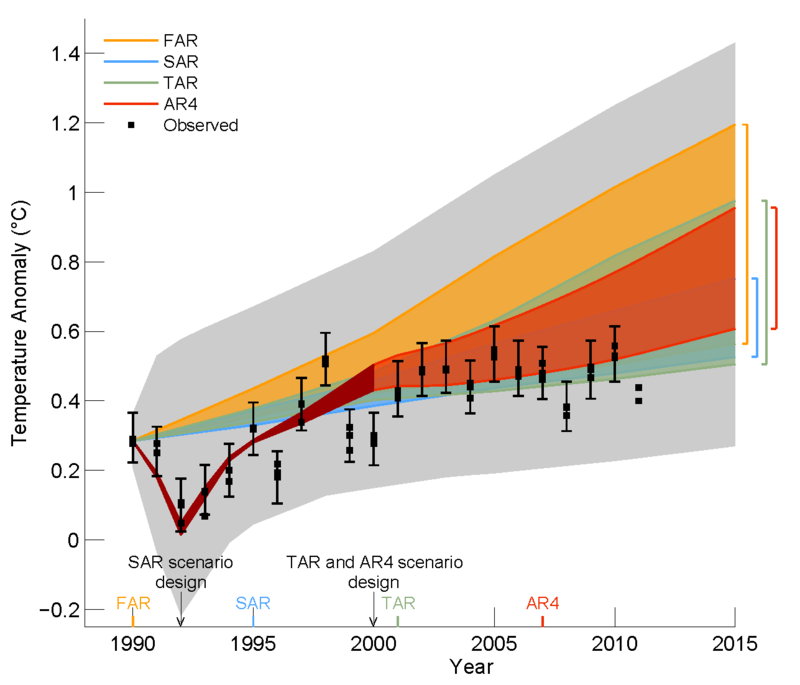 Wrap up with the recent studies backing off on climate sensitivity estimates. At the end of the day, there’s good reason to be skeptical, and considerable human misery would be averted if more people would make the effort to understand what’s really going on with this. The bondholders had 27 billion in claims and the unions had 10 billion. The union got 39% for its stake, the bondholders got 10%. Uncle Sam got the balance for pushing in about 17 billion. Nice work if you can get it. On this issue of breaking laws, my opinion is the jury is still out on that; cronyism to legal transgression may be a fine gray line but I think it would be worth a good look-see. I have a recollection that one of the major bondholders was threatened (in a veiled way, of course) with pretty much endless inquiries by the IRS if they didn’t shut up and stop complaining. Mr. Newman disclosed neither the basis for his superior moral stance and beliefs about global warming nor the reason that there are millions of skeptics. The reason for the latter is that the earth has not been warmed at all by the increase of atmospheric carbon dioxide for the last fifteen years. The monthly measurements of global mean temperature anomaly (departure from average for the period 1961-1990) as compiled at the Hadley Climatic Research Unit, UK plotted versus the monthly measurements of atmospheric carbon dioxide at the Mauna Loa Observatory show a slight, but statistically insignificant, cooling trend for the past fifteen years (see attached graph). According to the NOAA State of the Climate Report 2008 (p. 24), “Near-zero and even negative trends are common for intervals of a decade or less in the simulations, due to the model’s internal climate variability. The simulations rule out, at the 95% level, zero trends for intervals of 15 yr or more.” When the climate models that predict continued global warming have less than a 5% chance of being right, it is probably reasonable to be a bit skeptical. Thanks for the suggestions. If it were someone else like Patrick Newman that I don’t know the email wouldn’t sting. My friend has a heart of gold, but is probably, do to age and health, poor scientific literacy, and a lack of interest, unable to respond to to anything, chart or article, suggested. He’s a retired Political Science professor who has written a text book that is used in colleges which, like his email, calls global warming and climate change the “greatest challenge the world faces today.” I’ve been sharing with him (and others) the kind of articles and graphs suggested these past 5 years in an effort to educate. To call him an insufferable fool, as one of you does, is too strong. He is a dupe of the authoritarian academies of science which, with only one exception that I know of, gives him every reason to be an alarmist. There are millions and millions like him who are not bad people, but trust the authority of the scientific academies and see no reason to not trust them. He gets his information mainly from the NYT and Scientific American so I may send him the recent Revkin Dot Earth blog and parts of AR5. Flip side- There is good news from my first experience teaching a course in global warming/climate change last autumn. I tried to emphasize climate science history, science, and data and to be entirely fair. We also looked at the high profile videos, starting with An Inconvenient Truth and alternating between alarmist and skeptical points of view. In the first half hour of the first class I administered a 7 question quiz and found out that no one- half of the 22 students were retired engineers and scientists- no one was was familiar with the concepts “climate sensitivity” or “attribution.” I would guess that most journalists and many or most scientists, those closely following climate science excepted, are also unfamiliar with climate sensitivity and attribution so really can’t be part of an informed discussion. The class was a great learning experience for all of us. I have that 7 question quiz on my blog and will be adding the course syllabus soon. The blog is mainly for my students this autumn, but feel free to look at it and suggest improvements in the quiz. As for my friend and his email, I’m afraid the situation is hopeless. the faith-full knew he spoke of Reality. The faith-full are a declining fraction of the American polity. I have no need of faith myself. God talks to me everyday. But it could just be my mild schizophrenia. I might add that the advice has been uniformly good. So who knows?